Warning: by living a “radical faith” you may start a mini-revolution in your neighborhood. As I read the charges from Christ in Matthew 25 to feed the hungry, to welcome the stranger, to clothe the poor, and visit those in prison, I begin to feel a sense of guilt. I am living in white middle-class America, removed from the tangible neighborhood of “the least of these.” But it wasn’t always that way. When I started my young adult career, I was passionate about working with the urban poor. I was practicing community-living where six women shared a home and its responsibilities. 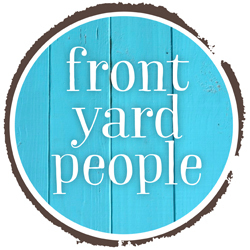 We lived across the door from an urban church where it was commonplace to walk out on our porch to find someone sleeping there. As time went on (I started a family and moved to my safe, affluent community), this “radical faith” seemed like a distant memory. I was comfortable. I was happy. I was living my daily life without much thought to how it affects my neighbors. Still, I felt like I had turned my back on what God was asking of me: to share my faith in word and in deed. Enter The Year of Small Things by Sarah Arthur and Erin Wasinger. These girls understood my doubts and worries about trying to live out a “radical faith” from the seat of our minivans. Two families embarked on a year-long journey to implement the “12 Marks of New Monasticism”, simple practices to turn oneself away from the American Dream and turn towards life with Jesus. What does this look like for families in suburban America? These families started where they are, choosing to make small changes for big Kingdom impact. Monasticism with kids. I have a growing family and wondered how to incorporate my children into a life that doesn’t idolize “things” and practices regular Sabbaths (if you’re a mom, you know there’s always a birthday party, sport practice, or church event to attend). Arthur and Wasinger tackle this problem themselves as they discuss budgeting for Christmas, simple prayer tactics, and school district debacles. Covenantal Friendship. You should never do faith alone. 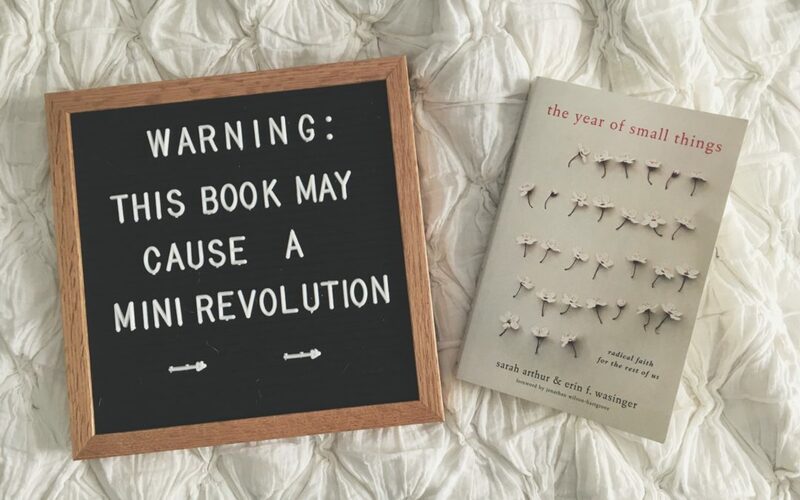 The authors REQUIRE those brave enough to try “the year of small things” to do so in relationship. Inviting people into your life to ask hard questions, look at your monthly budget, and support your radical faith decisions. Protecting Your Marriage. I must admit, date nights can seem selfish. Especially if you are trying to give money away, not spend it on a night out-on-the-town. Yet, the authors make a great case for the need to protect the communities’ vows to marriage or singleness—that means offering to babysit or encouraging others to get out of the house and connect with their spouse. This book is a must for your next Neighborhood Café. I hope I’m not the only one asking the question: how do I live a “radical faith” in my current circumstances? This book answers that question with hard challenges and practical acts of kindness. As a bonus, the authors provide discussion questions and further reading materials at the end of each chapter. You can find the book here. And can even listen to their podcast “Small Things” here. You can also find Wasinger’s “4 tips on how to make the most out of a Small Things book group” here.